conversation in communities around the country. To coincide with the event, community events are being held in California, Colorado, New York and South Carolina; many others will be held in the coming months. A webcast of the keynote speech delivered at the October 23 gala dinner will be available, as well as short videos that frame several topics being addressed at the conference: prevention and early intervention; research; and community inclusion. For more information, or to sign up to host a community event, contact the Kennedy Forum team at thekennedyforum@gmail.com. One of the short videos will feature Greg D. Williams, the director and producer of a new independent feature documentary, The Anonymous People. This film includes moving stories of people whose lives have been transformed by recovery, and documents the enormous societal value that recovery produces. Williams’s own story—he became sober after he nearly lost his life in a drug-related car accident as a teenager—makes an urgent case for early intervention to prevent a later need to clean up after the wreckage caused by addiction. The film shows the impact of people coming out of the shadows to engage in a new political movement to support expanded research, prevention and treatment for addiction. Community events to view and discuss the film are encouraged and facilitated by its backers. The power of speaking passionately and with one voice is demonstrated vividly in the film. To get involved, go to ManyFaces1Voice.org. A second short video will feature Ashley Counts, a Global Messenger for Special Olympics, who describes the importance of work in her life and how she, as a person with an intellectual disability, has overcome obstacles on the path to reaching her full potential. A third video addresses the need for research to find better treatments and supports for individuals with mental illnesses and addictions. Michelle Colder Carras, a leader in the Lived Experience Research Network (LERN), makes a strong case for the involvement of “consumers” (individuals who consume mental health and addiction services) to help design research, which would result in better outcomes in the health care system. The goal of personalized and patient-centered health care cannot be achieved without the involvement of those with “lived experience,” argues Carras. She describes how the Internet has made possible the creation of communities of shared interests, supports and values in a way that embodies the core vision of President Kennedy’s concept of community. 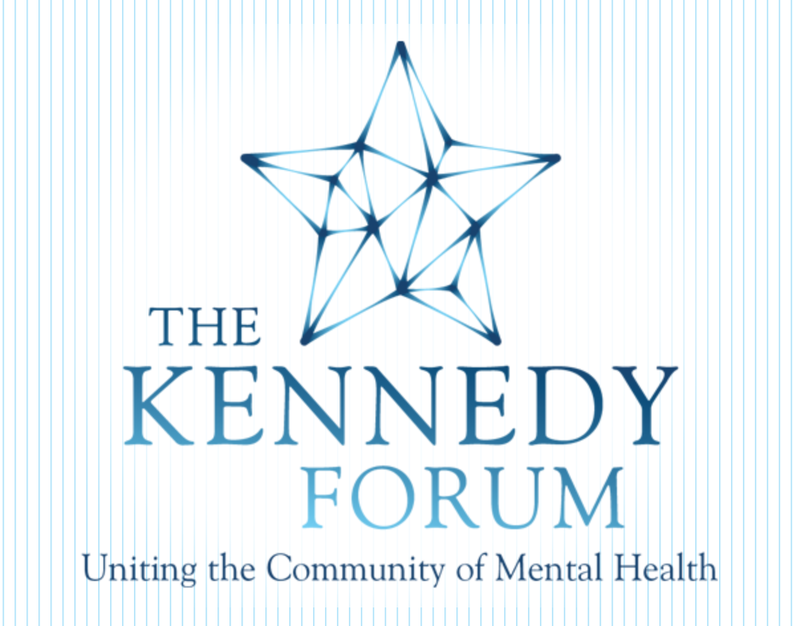 Several participants in the Kennedy Forum in Boston are involved in public education campaigns to help erase the stigma surrounding mental health and addictions, and are urging individuals reach out to others who may need their help or support. Michael Thompson, who will speak at the conference on how business can help individuals and their families in the workplace, tells about the suicide of his brother in the “I will listen” campaign of the New York City Metro Chapter of the National Alliance on Mental Illness. The campaign, described in an October 1 New York Times article, includes local TV spots of Thompson and encourages others to post their own stories. Another conference speaker, Chicago Bears wide receiver Brandon Marshall, was fined for wearing green cleats during a NFL game to bring attention to Mental Health Awareness week. These and other efforts to transform public opinion and elevate public policy to significantly improve the futures of individuals with mental illness and addiction and their families are shining lights in an otherwise grim landscape. The “deinstitutionalization” of individuals from the asylums of the past has too often meant homelessness or “re-institutionalization” in our jails and prisons. A significant reduction in adverse childhood experiences could be achieved by investing in prevention and early intervention, as well as promising treatments, for mental illness and addiction. As Greg Williams says in the Kennedy Forum video, we must correct the enormous imbalance in what this nation spends to clean up after the wreckage of addiction by investing in prevention.